The DIRECTORY parameter in line 5 determines where your wallet files will be created. It has to be an absolute path. To keep it simple I set mine to the same directory where sqlnet.ora, listener.ora and tnsnames.ora files sit. contain alphabetic characters combined with numbers or special characters. 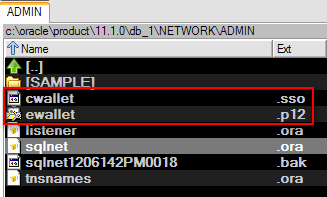 Run shell command mkstore -wrl “C:\oracle\product\11.1.0\db_1\NETWORK\ADMIN” -createCredential PRDSPW dummy_user dummy_pass (see below), where PRDSPW is the special TNS name we created in Step 3, dummy_user – database username, dummy_pass – database password. You will be asked to provide wallet password that we set up in Step 2. 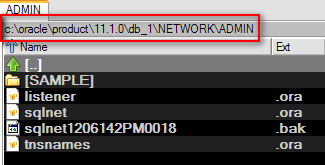 Path (C:\oracle\product\11.1.0\db_1\NETWORK\ADMIN) – is the same as in all previous steps.